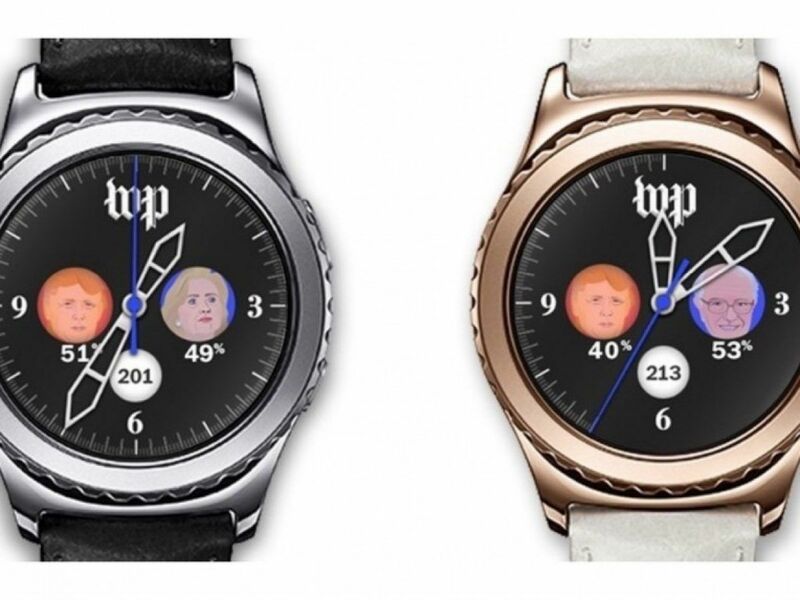 The Washington Post has just released its first ever watch face for Samsung’s latest Tizen-powered smartwatch, the Gear S2. The face has been designed to provide political junkies with the most recent information from the US presidential election, including up-to-the-minute polling results and a live numeric countdown to election day. “What we’ve learned from being on wearable devices is that users want to glance at their watches and get information quickly, so we designed a simple display of useful election data for the best small screen experience,” said David Merrell, Senior Mobile Product Manager at The Washington Post. As you’d expect, the watch face is available to download for free directly from the Samsung Gear App Store. All you have to do is open up the application, tap the search field, type in The Washington Post, then download and install the very first app presented at the top of the results page.